Step 3. Upgrade or downgrade your account by clicking the green button below the package you’d like. If you’re upgrading from free to any of our paid plans, just follow the prompts to put in your credit card details. Voila! You’ve been upsized (or downsized). Pro Tip: If you scroll down on this tab, you can see your complete Weirdly transaction history – handy for when the CFO’s asking you to check off every credit card line item. This is where you control how often you receive summary emails. These are simple notification emails that give you a quick view of how many applicants you’ve received in a given period. You control how often you get these (or whether you want them at all), and, like your subscription, you can dial these up or down whenever you need to. Step 2. Select the frequency you’d like by clicking the green button. Step 2. You can remove existing admins by clicking on the “X” to the right of their listing. Step 3. 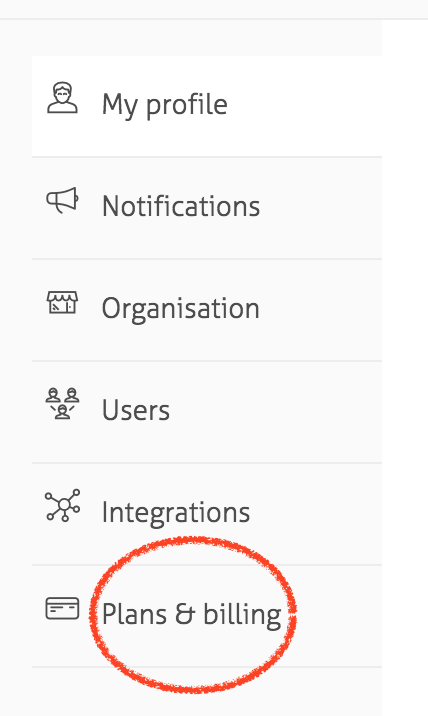 You can add new admins by dropping their details into the fields and clicking the green “Invite” button. This’ll send them an invitation email and so they can log-in and collaborate on your Weirdly account. This section is where you can change you go to change your address – handy for when you move into that fancy new office and your address changes. It’s also where you can change the URL that your account uses. This is the URL that sits as the first portion of all your quiz links (see the example in the image below). Also, if for some reason you need to delete your account, you can do that here too. Be warned though, this deletes all the data you’ve captured too so make sure you’re sure. We always recommend people downgrade to a free account, rather than delete. Step 2. Click into the fields you want to change and just start typing – same rule applies if you want to change your vanity URL. 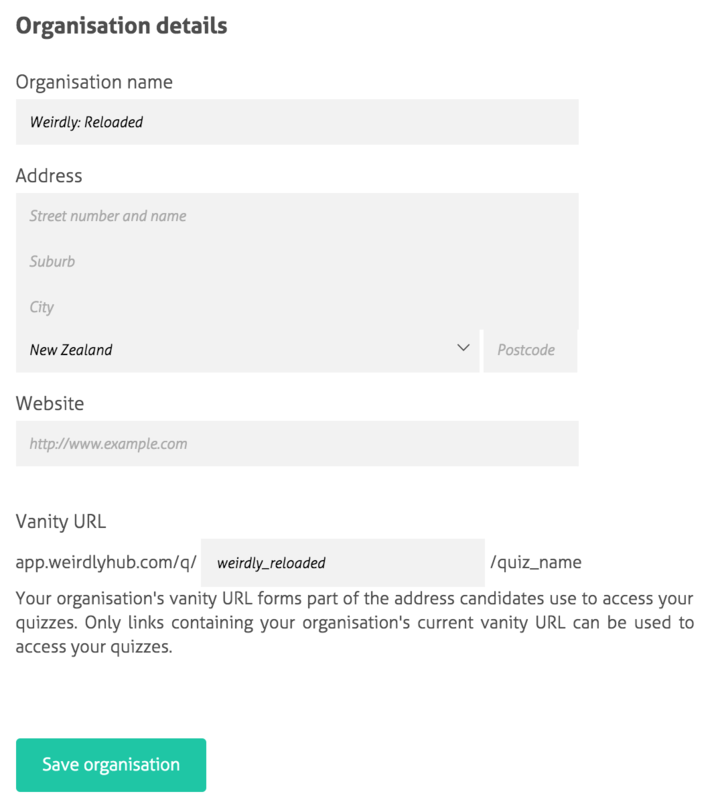 This forms part of the link address candidates see so it’s helpful if it contains all or part of your business name. Step 2. Make sure you’re very, very sure you want to delete rather than downgrade to a free plan. Remember, deleting will lose all the candidate data you have collected. Step 3. Push the big orangey-red button. So that’s it for our admin panel so far. We’re trying to make Weirdly as self-serve as possible, so it’s easy for you r customise and manage exactly in the way and shape you need it to work. If you’ve got any suggestions of things you’d like to see added to the admin panel, let us know here.